If it sounds like a good idea, California will try it. California has long been eyed for its innovation, often challenging current trains of thought. The wine industry is no exception. In the industry’s early years Agoston Haraszthy, Martin Ray, Charles Krug and others stand out as fervently experimenting with techniques new to the California wine industry. Most of the techniques came from Europe and sprung from winemakers’ desires to emulate the great wines of Bordeaux, Burgundy, Portugal and Spain especially. The biggest challenges prior to sterile filtration were keeping the wines clean and controlling instabilities. Once a greater understanding came of the chemical and microbial interactions happening in wine, the more the industry could concentrate on winemaking techniques to further aroma and flavour development, greater mouth feel and more. 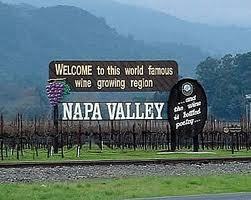 In Napa Valley, a big wave of investment and innovation came in the late 1970s and 80s. Wineries experimented with or re-explored skin contact, unfiltered wines and numerous other viticultural and enological procedures. That curious zeal still ignites the Napa Valley wine industry today, and the drinks business set out to determine what winemaking techniques are creating buzz and being used by Napa Valley wineries today. Cement eggs, native yeasts and whole cluster fermentations are on the top of wineries’ lists.